I lean towards the more inky, painterly and freehand illustrations. The poster picture caught my eye, illustrated by Isak Zenou who has been illustrating for the last two decades. 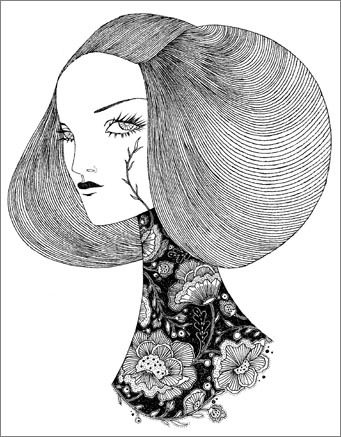 I won’t go through every illustrator (they’re listed on the site) but I will select some of my favourites. Don Oehl’s illustrations capture colourful characters in enlarged silhouettes finished with the latest accessories and heaps of confidence. 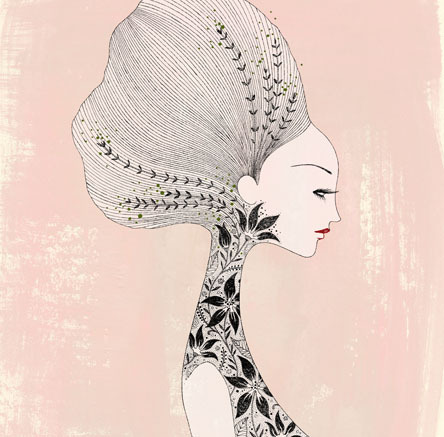 Anja Kroencke‘s fine lines demonstrate elegant hairstyles with ornate clothing and delicate features give an asian look and seren feel. Marcos Chin’s work has a storytelling feel to it. Animated faces and curious details keep you wondering what the story is behind it. 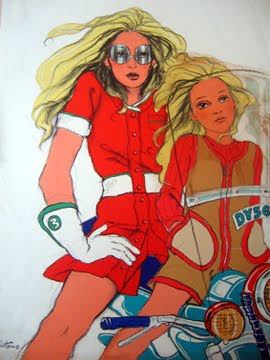 And finally, Antonio Lopez. I just missed the retrospective but some pieces were on display. The seventies heyday personified, this man deserves a blog post of his own.